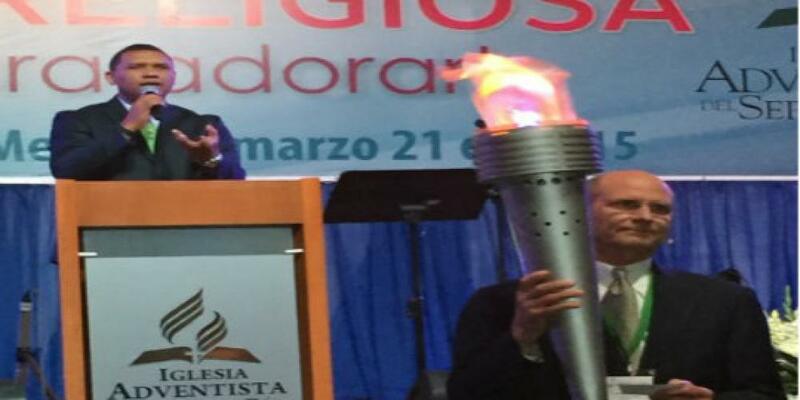 According to the IRLA Inter-America Secretary General, the organizer Pastor Roberto Herrera, the congress was a great success. One hundred and fifty delegates representing 35 national IRLA partners associations gave a report of their activities in six workshops. Former Senator Dr. Charles Schultz, an authority in the history of religious freedom in Colombia, was the guest speaker. Professors Rosa Maria Martinez de Codes from the University Complutense of Madrid and Professor of Jaime Contreras, vice-Rector of the University Alcala de Henares in Spain, brought the European dimension to the congress. The IRLA Headquarters was represented by its Secretary General, Dr. John Graz and his two deputies: Dr. Ganoune Diop and Attorney Dwayne Leslie. The IRLA Inter-American President, Dr. Israel Leito welcomed the participants and thanked Colombia for its high level of religious freedom. One of the climaxes of the congress was the interview of Elder Ted Wilson, IRLA Vice President and President of the Seventh day Adventist Church. Interviewed by Dr. Graz, Wilson called believers to respect religious liberty for all as a gift from God. He reaffirmed the position of his church to defend the principle of religious freedom for all: “Everyone should be free to believe according to conscience”. He called Christians and especially Adventists, who have always been strong promoter of religious freedom, to become champions of this gift of God wherever they are. The congress ended with a ceremony of recognition for all national associations that held congresses, symposiums and festivals. A tribute to Dr. John Graz was given by Dr. Israel Leito for his 20 years of service as IRLA Secretary General. According to Roberto Herrera, this second congress showed the vitality and the engagement of the Inter-American Region to promote and defend religious freedom for all and everywhere.